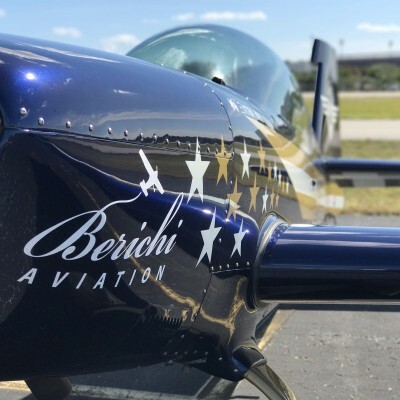 Berichi Aviation was created by pilots, for pilots. Our mission is to be the best flight school in the country. 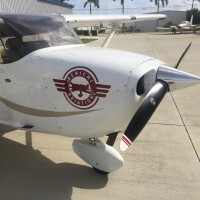 Our flight school model was built on the foundation that we would lead the world of flight instruction through innovation, cutting out the frustrating factors that most students have felt over the years while training at many other flights schools, and providing new aircraft at affordable prices. If you can find a better time building price, we promise to be beat it! Unlike other flight schools, we provide housing assistance, and we do not limit where you can fly for time building. We also take you scuba diving, fishing, and do beach trips as a group, during your stay with us (FREE OF CHARGE). We also offer a multitude of advanced training courses, including: Stall/spin recovery; unusual attitude recovery; basic aerobatics; competition aerobatics; and mountain flying courses. We offer Private Pilot, Instrument Pilot, Commercial Pilot, CFI, and ATP certificates. We also offer multi-engine ratings and have the best rental fleet in the country (value and youth of aircraft). I cannot say enough positive things about Berichi Aviation. Iâ€™m currently working on my private pilotâ€™s license with the owner, Charlie, and itâ€™s been a great experience. 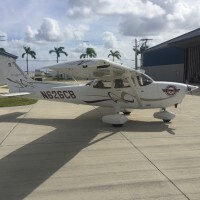 The planes and FBO are beautiful and well-maintained, and the instructors are all incredibly friendly and, most importantly, incredibly knowledgeable. Charlie, in particular, is the perfect CFI. He provides helpful feedback while at the same time keeping your confidence high, which is critical in the early stages when everything basically sounds like Swahili. 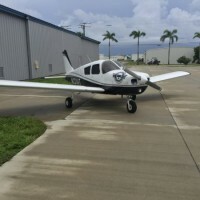 Iâ€™ve read other studentsâ€™ accounts of the negative experiences theyâ€™ve had at other flight schools, and I wish nothing more for them than to find an instructor like Charlie. I know that Iâ€™m in great hands with him, and you will be, too, should you decide to advance your aviation career at Berichi Aviation. Charlie is one of the best!!!! Great instructor, my friend Atanael had an amazing lesson in flying. Beautiful day, Wonderful flight. I was by the FLL looking for an Aerobatic aircraft and found Berichi Aviation Extra 300, i gave them a call and talked to Charlie Berichi the Owner and told him what i was looking for and in a short time he managed to arrange what i was looking for, As an Commercial Pilot time is an issue but they were professional and managed to get everything ready for my flight! About the Flight, i got to fly with Chad Barber Competition aerobatic instructor and have to tell you he is really professional and super friendly, i told him about my aerobatic experience and what i was looking for! so we went flying and we did a bunch of maneuvers, and Chad Was always there giving mi tips and hits of how to do the maneuvers in that aircraft. one of the best flights i had, had a lot of fun and learned a lot, ill totally recommend you to talk to Charlie Berichi he will get you what you need or are looking for! Yeah , you get a lot for your money . I fly with Charlie and it was great. Went out to TNT for some take of and landings . From what I see this place is a GOOD DEAL for training . After contacting over 60 flight schools, I decided to do my PPL flight training at Berichi Aviation. This was a big choice for me as I travelled all the way from Australia just to complete my training. For me I wanted to avoid a â€œsausage factoryâ€ (a large school just wanting to make money of their students). Berichi Aviation is the opposite of this! My lesson plans were totally customised to my progress, and I felt almost as if the whole team were working only on me! The only portal they use is simple, and allows you to plan your time easily. I got my PPL in 41.3 hours! I was endorsed for your first solo by Owner and Flight Instructor Charlie Berichi in a record 10 hours! I completed a total of 14 training flights and 5 total solo flights. In one of my solos I decided to head down to Key West for the day and had an amazing time exploring the town (Charlie and the guys gave me a few recommendations as well). Great flight school! I had been looking for different schools around town and really glad I found Berichi Aviation. His rates are second to none and the owner is a genuine guy that really values the passion for aviation and passes that on! I transitioned into the Piper Cherokee 140, and now I´m working on my complex endorsement with Berichi as well. Highly recommend to anyone starting out or looking to advance their learning. I started my experience with Berichi in their Extra 300L. The plane was new, clean, and mechanically perfect. I recently decided to get a multi-engine instrument rating. I live in Orlando, but my research in training options pointed me right back to Berichi. I asked them if they would be willing to do an accelerated program so I could get it done in one week. They promised and delivered! The facility was clean and comfortable. Asst. Chief Flight Instructor Dan Diamond was knowledgeable, patient, pleasant, and very thorough. By by my last day of training, he was throwing everything at me at once. It was really exciting and did a lot to boost my confidence preparing me for the checkride the next day. The checkride was no joke. It was far more difficult and intense than my previous two checkrides. Thanks to consistent training and aircraft availability, I was well prepared. Owner Charlie Berichi runs a very nice operation. Omg! Amazing staff and brand new airplanes! The newest addition to their fleet even has air conditioning! I´ve done 7 lessons here and I will definitely stay with them for all of my ratings. Thanks so much Charlie and Donnie. This is a very professional and honest operation. You guys are awesome. Thank you so much for the discovery flight and all the little extras! The maneuvers we did were awesome. I will definitely do additional training. Coming from someone that works at an airport, you guys have the nicest fleet in general aviation that I have ever seen! Fly safe! Did an amazing acro flight here in their 2016 Extra 330LX. It´s hard to get on their schedule but the wait is worth it. Very honest company and they are big on customer satisfaction. Awesome instructors. They have the newest general aviation fleet in the country. They are new--which is good because you deal directly with the owner. No corporate nonsense--they are a very honest company. Defintley a hidden gem. I was a bit nervous about flying for the first time. However, I´m glad I checked this one off my bucket list. The instructors at Berichi Aviation are awesome. They are very skilled and talk you through the flying. But YOU do the flying. Amazing sights. Their planes are clean and very well maintained. Just finished up my Discovery Flight with Berichi Aviation!!! They even had me taxi and do the takeoff. The instructor was awesome. It was definitely an “at my pace” kind of operation. Flew down the beach to the keys. The Sugarloaf Keys really look like someone poured sugar in them, haha. They know all the secret spots where we could fly low and see things that you couldn’t imagine. The coolest thing I’ve ever done!!! I’m definitely going to get my pilot license through them. I was going to do it at another school but when I found their website, I went through Berichi Aviation. No joke, ALL THE OTHER SCHOOLS TAKE YOU UP IN 40 YEAR OLD AIRPLANES EXCEPT BERICHI AVIATION. I went with my friend two years ago for his discovery flight and it was more expensive than what I paid today (and it was a 1981 plane, lol). Berichi aviation takes you up in brand new airplanes, they even smell new. The plane I flew didn’t even have its first oil change yet, LOL.